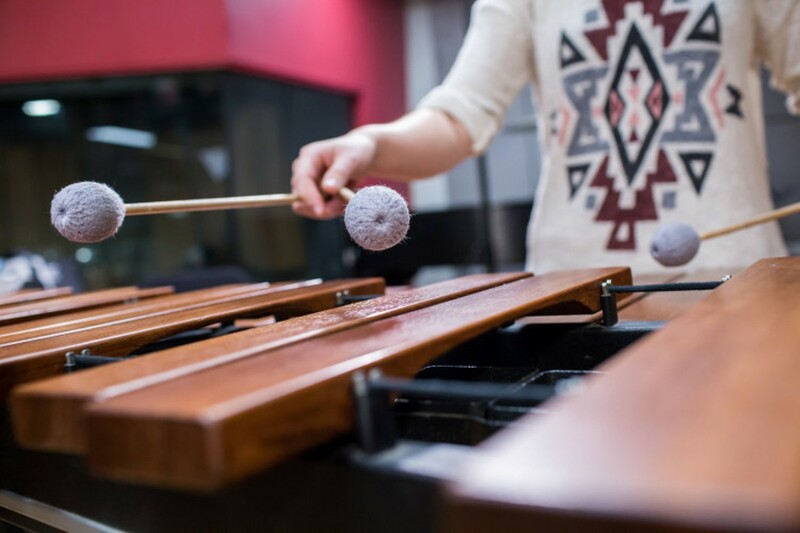 Join the Percussion Ensemble for their spring concert, featuring works by three living composers. Mexican composer Javier Álvarez creates the sounds of a bustling, upbeat city in his Metro Chabacano, with a distinct Mexican spirit in the rhythms. Originally written for a dance troupe, David Skidmore's Ritual Music is a percussion quartet full of energy, where performers will have a chance to show off their tambourine skills. The concert closes with John Psathas's Kyoto, which was inspired by the recording of an improvisation by pianist Keith Jarrett that took place in Kyoto.